Conservation capital is critically important to UVLT projects today and in the future. Increasingly, the Upper Valley must meet its conservation funding needs from within. The campaign in honor of Jeanieâ€™s 25th will build our Conservation Fund so we can keep delivering on our land conservation mission. Space is limited! Â RSVP by January 11, 2013 for seats at the Afternoon Program featuring Janisse Ray. RSVP to Lorie HoodÂ at lorie.hood@uvlt.org or 603-643-6626. The Afternoon Program runs from 4 to 5:30pm and features remarks by writer, naturalist, and activist, Janisse Ray. Â The cost of this program is $10 per person. 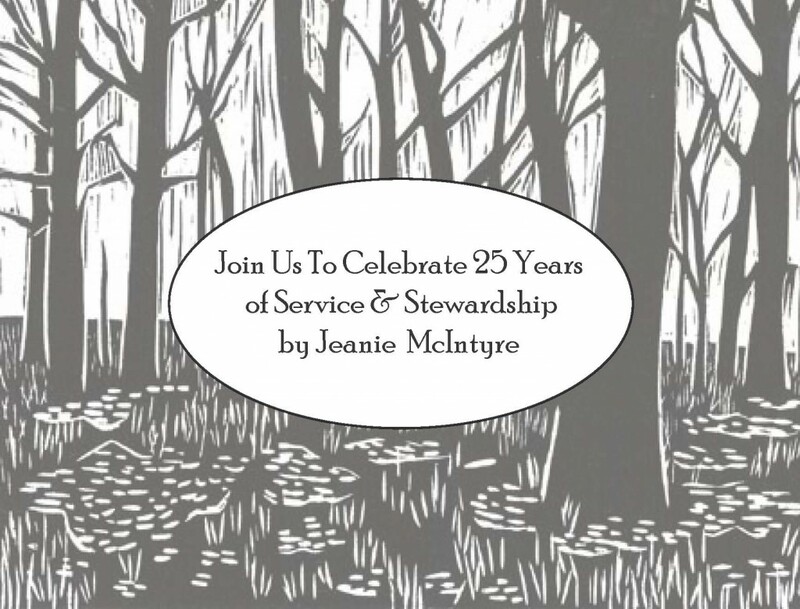 The Evening Program runs from 6:15 to 9pm and will include a reception, dinner, and benefit auction for the Jeanie McIntyre Conservation Capital Campaign. Â The cost of this program in $50 per person.